The post-Civil War period into which Burroughs had been born had disappeared now long ago. There might have been a couple survivors of the GAR but not many. The Indian Wars of his childhood were over. The plains had been swept clean of the buffalo. Even the buffalo robe that could easily be found during the first two decades of the century became difficult to find in the twenties and impossible to find in the thirties. So that past which must still have been vivid in ERB’s memory was no more. Frank James and Cole Younger had died as late as 1915 and 1916 respectively. Buffalo Bill in 1917. 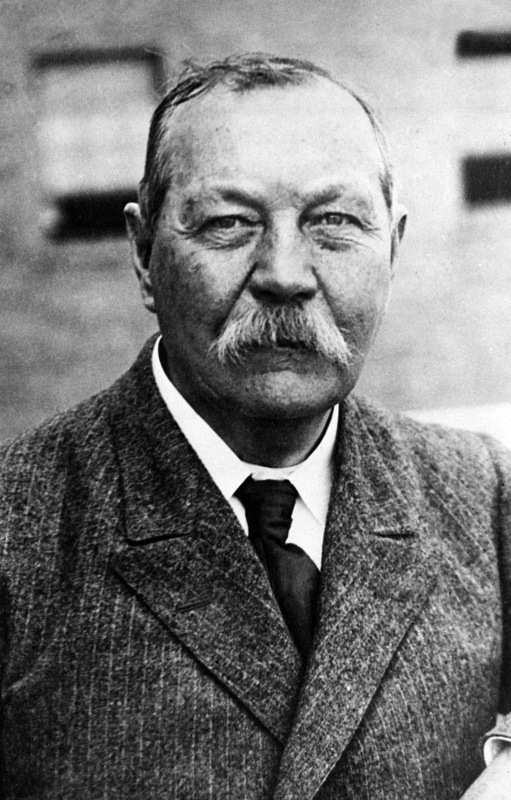 TR in 1919. Charlie Siringo who had been present at the shootout with Billy The Kid was giving advice to authenticate Western movies even as he passed away in 1928. Heck, Burroughs could claim to be an authentic cowboy. He was out on the Idaho range in 1890 the heyday of the cowboy, Johnson County war and all that. His Western novels are about as authentic as you can get, maybe even more so than one of ERB’s heroes, Owen Wister. There was a hiatus of four years between Tarzan And The Ant Men, which may be considered the last of the Tarzan novels of the first period and 1927’s Tarzan, Lord Of The Jungle. The latter may be considered a transitional work between the first and the later period. Also a new political element entered his writing competing with the love element of Emma and Florence. Tarzan novels fairly gushed from his pen over the next seven years. Tarzan At The Earth’s Core of 1928-29, Tarzan The Invincible of 1930, Tarzan Triumphant of 1931, Tarzan And The Leopard Men also of 1931, Tarzan And The City Of Gold of 1931-32, Tarzan And The Lion Man of 1933 and Tarzan’s Quest of 1934-35. With the divorce his fecundity ended; he had severed his connection with his origins. Politics had entered his life in earnest with the Bolshevik Revolution of 1917. He had always been involved with politics to some extent. In his youth his basic attitudes had been formed by immigration while he watched immigrant German socialists parade through the streets of Chicago under the red flag shouting, Down with America. The Russian situation had troubled him too. The villains of the Russian Quartet had been Russians. A very great many of his villains were Russians. The Communist leaders of Tarzan The Invincible are Russian. In 1919 he rushed his political tract Under The Red Flag denouncing the Russian revolutionaries to his publishers. Haven’t read it but I suspect it was much too polemical for the pulp fiction magazines for which he wrote. It if was anything like The Little Door I can understand why it was rejected on literary grounds. I don’t doubt the novel was rejected for political reasons also as Reds and Fellow Travelers had already worked themselves into the cultural edifices of the US. that Tarzan novels were read to workers on the job. It appears that H.G. Wells was appointed to harass Burroughs in print. His 1923 novel Men Like Gods seems to reference Burroughs in a negative way. The means of communication between Wells, the Reds and ERB remains to be discovered but there appears to be novelistic warfare between the two. Wells seemingly was the Soviet hatchet man attacking other notable counterrevolutionaries such as Aldous Huxley. ERB refined his approach getting his condemnatory novel of Bolshevism, The Moon Maid, published in 1926. The Moon Maid wasn’t that satisfactory although Wells replied to it in 1928 with Mr. Blettsworthy of Rampole Island. Wells unmistakably alludes to Burroughs in this novel calling him insane. Tarzan At The Earth’s Core which is an attack on some core beliefs of the revolutionaries may possibly have been a rushed response to Blettsworthy. Fictional author: Burroughs pulls off a tour de force by narrating an introduction in his own voice, then slipping into the story so smoothly one is deceived into believing it is part of a newspaper story in a historical setting. By which David means current events occurring almost as we speak. Tour de force is correct. David got the handle on that one. Tarzan is actually integrated into a current political situation as an actual historical figure. Tarzan interacts with fictional agents of Stalin who are represented as real acting under orders from Moscow. Incredibly Opar devolves from a mere fantasy of Burroughs into an actual geographic location somewhere in southern Abyssinia. The Soviet agent Dorsky tells Tarzan that they know that he knows where the gold of Opar is hidden and that he is going to tell them. Thus Stalin has apparently kept up on Tarzan’s adventures which he thinks are real being aware of the source of Tarzan’s wealth and his earlier expeditions to Opar. In fact, one knows that Tarzan’s adventures are common knowledge which they should be as several millions of copies had been sold worldwide. Tarzan’s amanuensis Burroughs has seen to that. The Soviets had located Kitembo of the Basembos who knew where Opar was and had actually seen it. The Basembos were native to the area of the railhead on Lake Victoria. One assumes that Kitembo must have known one of the faithful Warziri who showed him the ruins. As ERB explains only Tarzan and some of the Waziri had been to Opar. That overlooks Ozawa, who probably bore Tarzan a little grudge for the gold taken from him and the bearers of Esteban Miranda of Tazan And The Golden Lion but possibly the well-known Curse of Atlantis had carried them all off. Haven’t heard of the Curse of Atlantis? Well, you’ve heard of the Curse of the Pharaohs haven’t you? Same thing, only different. The Reds trying to loot Opar isn’t all that far-fetched. As has been mentioned elsewhere Stalin actually ordered his scientists at about this time to cross an ape and a human to attempt to create a new super warrior that could run on regular. 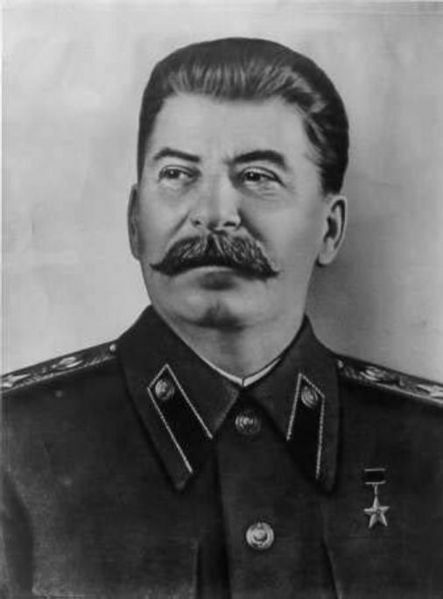 We know that Stalin was a fan of the Tarzan series, both books and movies, possibly even a secret admirer of our favorite author. The possibility of Stalin thinking a eugenic hybrid of ape and human possible from reading Burroughs seems to have a high degree of probability. The Oparian males were believed to have some ape blood in them. If word of the experiments had reached Burroughs, Tarzan The Invincible could be part a spoof on Moscow. So, in a way, the blending of fact and fiction David notes could on the other hand be a blending of fiction and science by Stalin. Amusing to think about. I’m sure more information will surface in the future. At any rate this story does read as an unreported behind the scenes actual event. Let’s take a look at how Burroughs sets it up. From the opening paragraph. OK, so we’re warned that we’re about to be put upon. in fact is the chronicler of Tarzan’s adventures as was Watson those of Holmes. Doubtless, very few of you saw, and still fewer will remember having seen, an news dispatch that appeared inconspicuously (how inconspicuously?) in the papers some time since, reporting a rumor that French colonial troops stationed in Somaliland, on the northeast coast of Africa, had invaded an Italian African colony. Back of that news item is a story of conspiracy, intrigue, adventure, and love- a story of scoundrels and of fools, of brave men, of beautiful women, a story of the beasts of the forest and the jungle. If there were few who saw the newspaper acount of the invasion of Italian Somaliland upon the northeast coast of Africa, it is equally a fact that none of you saw a harrowing incident that occurred in the interior some time previous to the affair. Um, yes, if there were few…then it’s a fact there were none. It seems ERB has established an incontestable ‘fact.’ So if you let that sophistry slip by you he’s going to tell you pure fiction. If you know the difference you won’t care, if you don’t it won’t matter. Anyway his intro was a perfect synthesis of nineteenth century humbug brought completely up to date. Burroughs’ writing style is even close to reportorial. Tarzan, La and Opar become ‘real’ as ‘real life’ Reds make their assault on the ancient Atlantean colony. So, in a way, Atlantis becomes an established fact rather than an hypothesis. Burroughs uses clear, concise sentences developing his story news style. For once his story is evenly paced with a well developed beginning, middle and unrushed end. He doesn’t cram a hundred page ending into ten as usual. While one hesitates to call the book his best Tarzan novel it may be his best written. Thoroughly modern in its swift and pleasant reading with wonderful detailing I certainly can’t consider the novel hack work or inferior to any of the Tarzan novels in any way. The characters are entirely plausible, the premiss doesn’t seem far fetched. There are historical antecedents that we will examine. The novel could easily have take its place among the major spy thrillers written in the last fifty or sixty years. David is right. The novel is a major tour de force. Part II of X follows.